Are you suffering from spine and/or neck pain? Are you looking for a doctor who utilizes minimally invasive techniques at a world class facility? If so, then Miami Back & Neck Specialists is the facility you’ve been searching for. We treat patients across South Florida including the Fort Lauderdale area in our Miami office. Dr. Georgiy Brusovanik, MD, studied at Duke University with both orthopedic and neurosurgical staff. Dr. Brusovanik is well known both nationally and internationally. He has helped many professional athletes, business executives and celebrities. Dr. Brusovanik will always try to assist his patients without surgery. If surgery is the answer to your problems, he will perform the procedure in a manner that minimizes pain and speeds up recovery. If you are not from the Fort Lauderdale or Florida area, you can use our fly in program or schedule a virtual consultation. If you can afford to travel, the fly in program is ideal for you. If you cannot make it in for a face-to-face consultation, then our virtual consultation can be done from the comfort of your own home. If surgery is deemed necessary, you will discuss and plan your operation with Dr. Brusovanik. The plan will ensure that you have the best results with minimal pain, reduced recovery time and increased overall quality of life. Our Patient Coordinator will contact you to discuss fees, and provide suggestions for hotels and/or post-operative care accommodations that fits within your budget. Generally all of our surgeries are performed at either Doctors Hospital or at The Miami Medical Center. No matter which medical center your surgery is scheduled, you will have a private room in the state-of-the-art facility. We will make sure that you and your entire family feel comfortable and right at home in Miami. If you are suffering, there is no need to look any further. 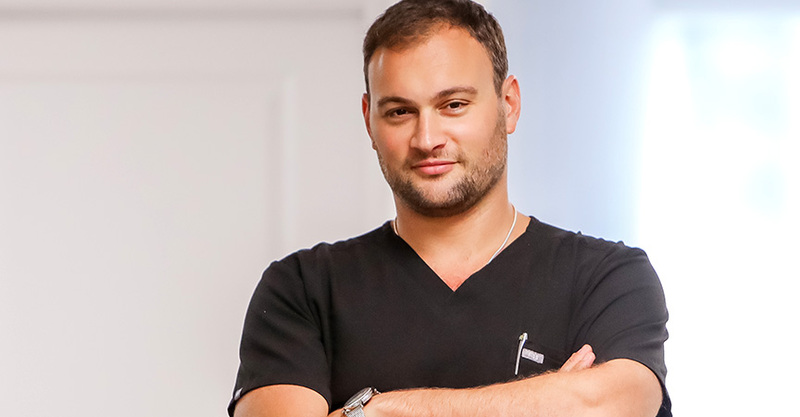 Call Miami Back & Neck Specialists and schedule your consultation with Dr. Brusovanik today! When a patient is dertmined to be a candidate for surgey the operation is usually performed at Doctor’s hospital or at the The Miami Medical Center where he serves as head of spine surgey. Both facilities are state-of-the-art medical centers. You will have a private room and we will make sure that the whole family feels comfortable in Miami. For more information call us at 754.200.2009 or Schedule an Appointment or a Virtual Consultation , or contact us via the contact information below. Bryce Singleton #1 Play of the Week on ESPN! "Bryce Singleton was featured on ESPN as the #1 play of the week https://yhoo.it/2ALJUnu"
Revision Minimally Invasive Fusion for Failed back Syndrome – pre op visit "Honored to have helped the Mom, the brother, and now the other brother! Friends for life!" Minimally Invasive Spine Surgery by Dr. Brusovanik – Post Op Visit "Minimally Invasive surgery as a revision for failed back surgery in the past." Mr. Olympia has minimally invasive spine surgery with Dr. Brusovanik "Minimally Invasive cervical Disk replacement can help with neck pain, shoulder and shoulder blade pain, headaches, arm And hand pain and numbness." Minimally Invasive Spine Surgeon, Dr. Brusovanik "Dr. Brusovanik tells the story of having to perform minimally invasive spine surgery on his Dad." Georgiy Brusovanik, Victor Camara and Gabriel Porras "Dr. Brusovanik discusses acting with his patient, Victor Camara and Gabriel Porras"
Minimally Invasive Spine Surgery by Dr. Brusovanik "Maria is like family. She does billing for the entire group so when she complained about back pain and wanted me to fix it, I was concerned, to say the least." Dr. Brusovanik performs a minimally invasive fusion to fix the issues with prior failed surgeries "Dr. Brusovanik, you are a miracle worker!" Victor Camara, Award Winning Actor & Director, Undergoes Disk Replacement with Dr. Brusovanik "(Spanish)"